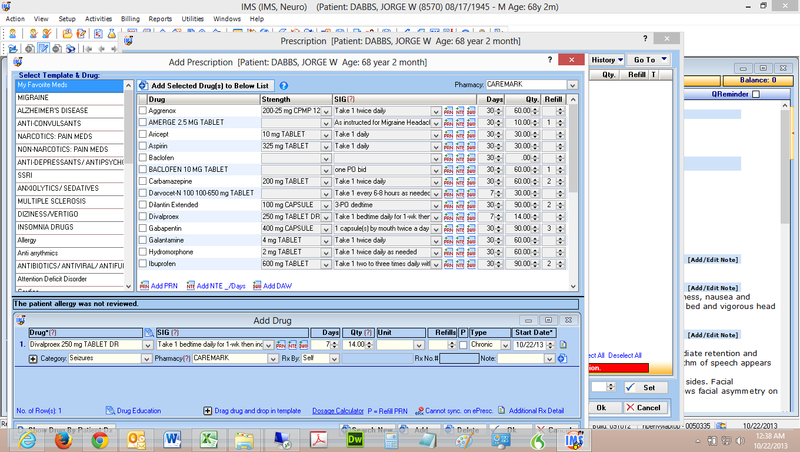 Using our Neurology EMR software's advanced e-prescription module providers can streamline the process of writing and sending prescriptions. Our neurology eRx software lets you print prescriptions to paper, fax them, or send them electronically to an eRx-participating pharmacy. E-prescribing also gives you convenient access to an updated list of your patient's medications and allergies. This lets you prevent potential drug-drug and drug-allergy conflicts.